This paper proposes assessment as a tool not only to judge abilities of an individual rather assessment as method to learn how individual performs a task and what help individual needs to accomplish a task successfully. This approach ensures a dynamic assessment process involving the learning environment as a whole in order to evaluate individual progress in different contexts. Advancement in technologies and enrichment of our knowledge made it possible for us to be able to learn and master the complex skills required to be successful in the 21st century. In this paper the author proposed a unique approach to design activities with innovative use of currently available technologies and networking tools where assessment is embedded in the learning environment. Author argues that in this global economy assessment of individual skill cannot be done in isolation. Bhattacharya, M. (2010). Assessment embedded learning environment design. In Z. Abas, I. Jung & J. Luca (Eds. 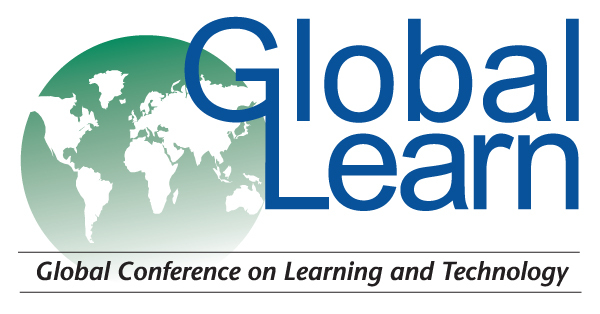 ), Proceedings of Global Learn Asia Pacific 2010--Global Conference on Learning and Technology (p. 396). Penang, Malaysia: Association for the Advancement of Computing in Education (AACE). Retrieved April 22, 2019 from https://www.learntechlib.org/primary/p/34204/.